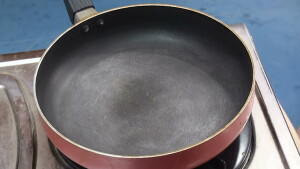 Initially heat the pan – The stove has to be in high flame. 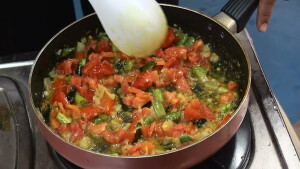 Once the pan is heated – Add the sufficient Oil – and let the oil be heated. 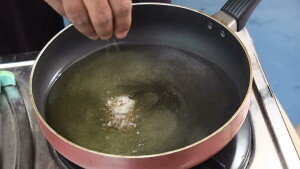 Once the Oil is heated Put the stove in low flame – Add Some Mustard and Cumin Seeds. 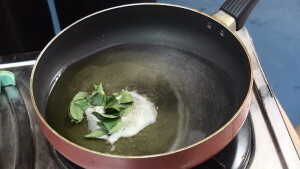 Once the seeds are popped up, try to add the curry leaves. 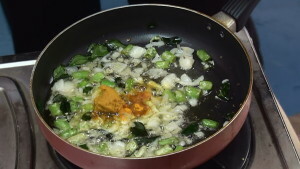 Then Green Chili should be added and fried properly. 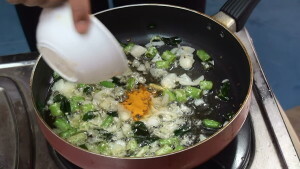 Once the chili is fried properly add the onions – and allow for one or two minutes so that the onions become soft. 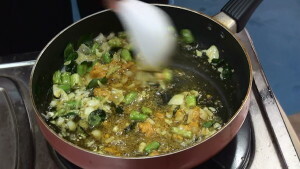 After one or two minutes once the onions are fried, add some turmeric powder and ginger garlic paste. 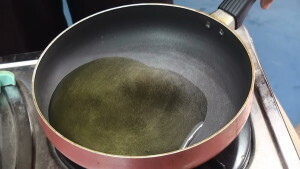 The reason for adding turmeric powder is simply because it just kills the bacteria if there are any. 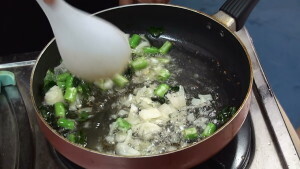 Spread the paste evenly and nicely in the oil and allow for 2 or 3 minutes. 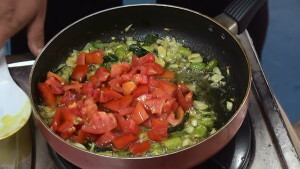 After completion of three minutes, add the tomatoes and mix them properly. 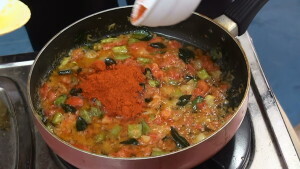 Now add the salt, mix it properly so that the flavor of the salt should reach every corner of the ingredients present in the pan (Do not add the salt in final stage of the curry). 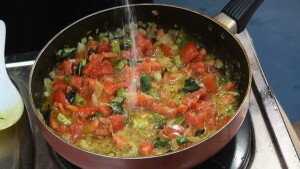 Now allow the stove for 3 or 4 mins in medium flame. 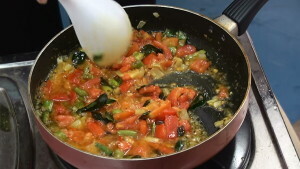 In between like after completion of one or two minutes try to mix the tomato properly and allow for the remaining period of time. 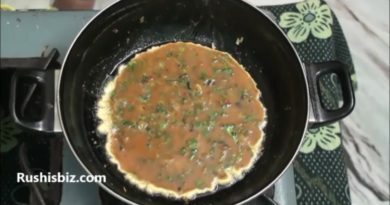 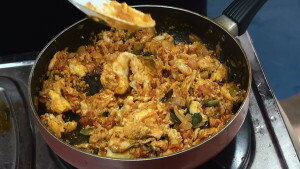 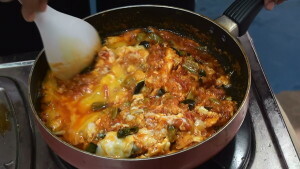 Now after completion of remaining period of time, add sufficient red chili powder, mix it, then scratch the eggs and add them, close the pan and allow for 3 minutes in low flame. 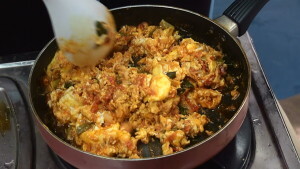 After 3 minutes try to mix it very slowly, do not rush and again try to allow for further 3 minutes. 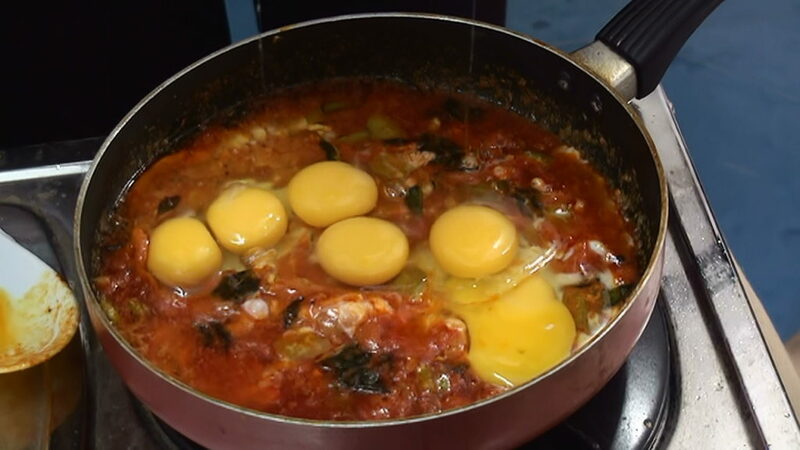 After 3 minutes once again mix it slowly, the eggs will form into a nice shape. 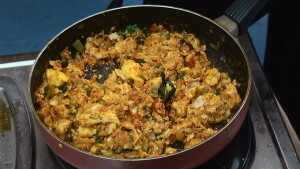 So once again allow for final 3 or 5 minutes in low flame. 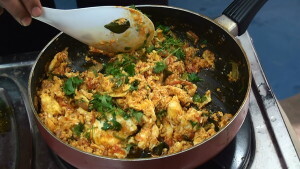 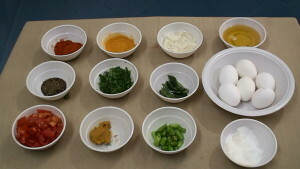 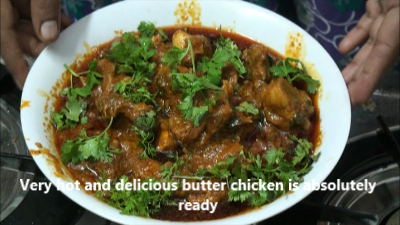 After final 3 or 5 minutes we will be done with egg curry, add some coriander leaves, mix them slowly, allow for one or half minute, then put off the stove. 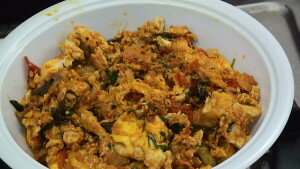 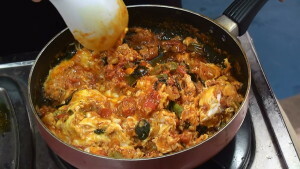 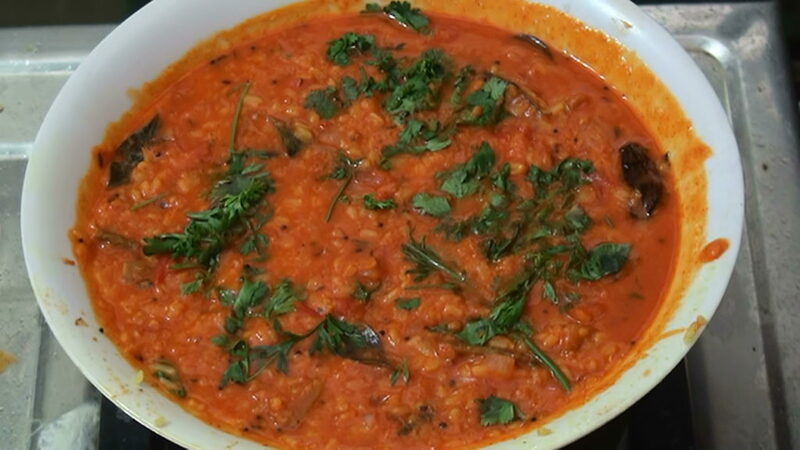 So hot and delicious egg tomato curry is absolutely ready for serve.